Disconnect ExpressVPN on your device and try to access the internet. If you encounter connection problems while disconnected from the VPN, the problem is with the underlying internet connection you are using. Exit (or quit) ExpressVPN on your device and then reopen the app. Try to connect to a different server location after relaunching the app. If you are able to connect to a different location, try connecting to the original location again. If you encounter a problem, there might be a problem with the original location you tried connecting to. Restart your device and relaunch ExpressVPN. Try to connect to a different server location after relaunching the app. If you are able to connect to a different location, try connecting to the original location again. If you encounter a problem, there might be a problem with the original location you tried connecting to. Sign in to your ExpressVPN account, select Set Up ExpressVPN to download the latest version of ExpressVPN. 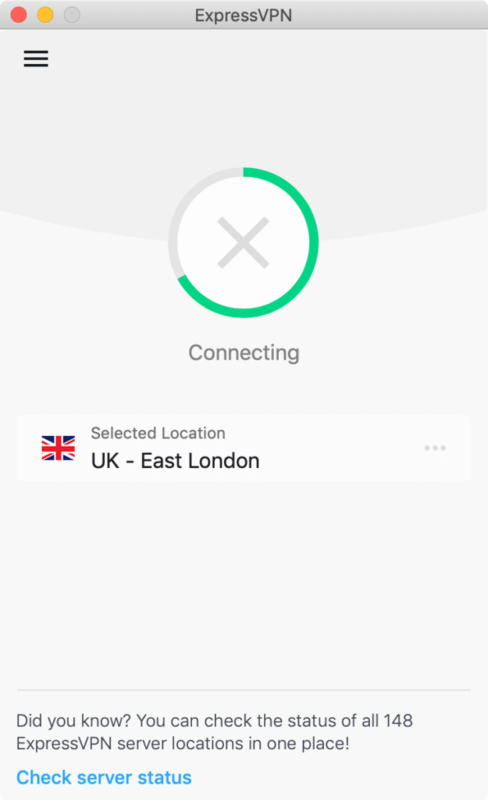 Next, set up your ExpressVPN app and then connect to a server location. Check if your license has expired. For help, see this guide on reactivating an expired license or subscription. While carrying out these steps, you can contact the ExpressVPN Support Team for direct assistance at any time.